Room rates are based on double occupancy and include a full breakfast. Room rates do not include a 9% rooms and meals tax. A salute to the beautiful maples and other hardwoods that provide shade in summer and the fall color of autumn. Queen-size bed on the first floor. Whether looking out over the pond or viewing the majestic Blue Mountain range. 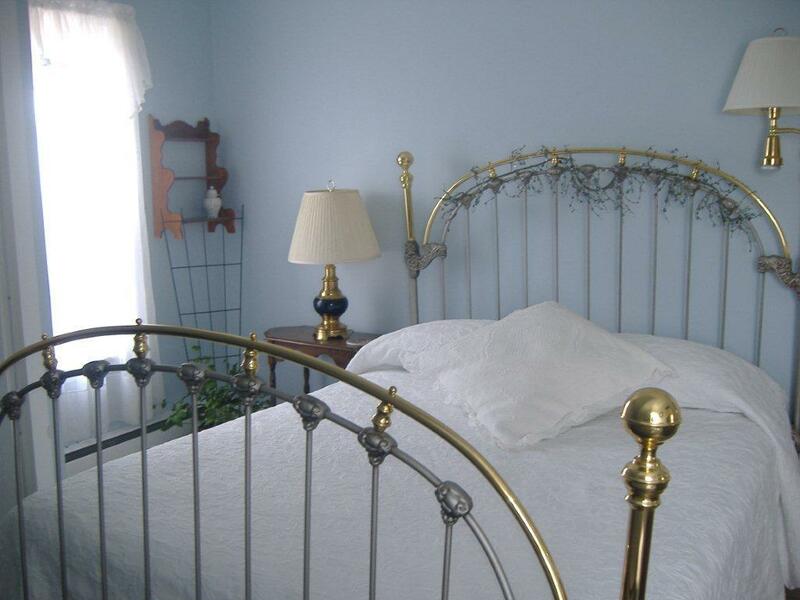 This upstairs corner room in soft blue and whites features a queen-sized brass bed. 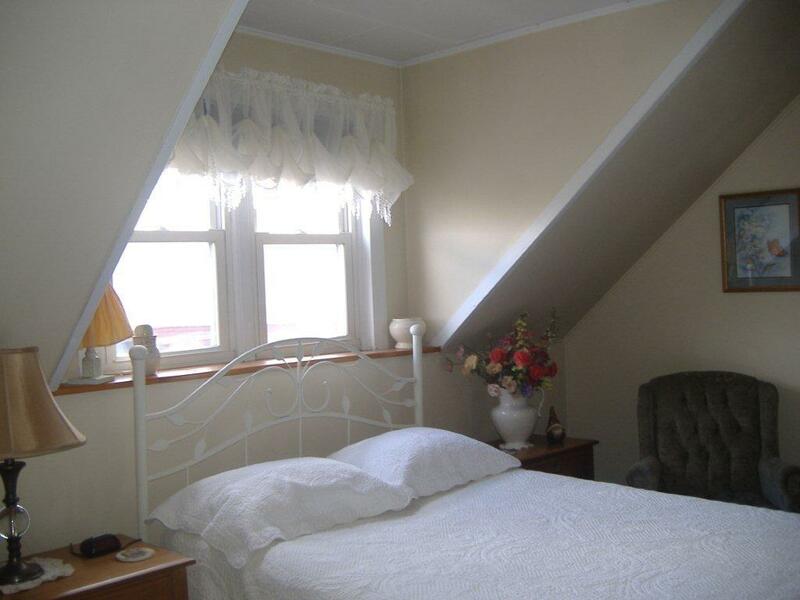 ($75 - 95.00/night) This second-floor room provides a valley view of the “dooryard”, and apple trees, roses, field flowers and goldenrod in summer and glistening snow in winter and has a queen-sized bed. A deposit of $25 per room, per night will guarantee your room. We accept cash or personal check. Checks can be made out to Robert Keazer. Confirmation of your reservation will be sent upon receipt of your deposit. Please let us know as soon as possible if a change in your plans occurs. To notify us, please telephone at (603) 237-8058. In the event of a late cancellation, or an early departure, you will be responsible for all nights reserved. Room rates are subject to change without notice except on confirmed reservations. Special event or holiday weekends may require a two-night stay. Please let us know if you need to make different arrangements. We understand that you may be travelling several hours to get here. We can be quite flexible with check-in and check-out times. We would appreciate knowing your estimated time of arrival. Our inn can accommodate up to 7 guests and group rates can be arranged. We also have rates for long-term stays of 3 days or more. Use of a roll-away bed is an additional $20.00 per night; young children not needing a bed stay free. There is cell service and wi-fi is available.